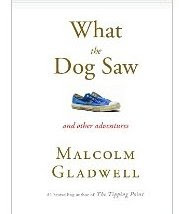 In summary - it is another brilliant book by Malcolm Gladwell. A little difficult to read - he uses so many names, numbers and you have to skip them while reading. Hi Malcolm here is a suggestion - use footnotes next time - your book will be half its size and will sell well. Here are some interesting snapshots from the book I still remember. This chapter is a follow up to his TED talk where he explains how there is no one perfect "taste" but there are perfect "tastes". There are so many spaghetti sauce varieties in the market and here is an enterprising person who tries to apply the same model to Ketchup and tries to go against Heinz - the market leader. However he is not as successful.